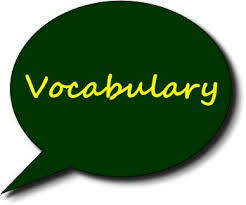 Water Vocabulary - learn new words associated with water. Water is one of the most important substances on earth. All plants and animals must have water to survive. … Apart from drinking it to survive, people have many other uses for water. Learn new words below to help you understand more about water and practice new words with your skypeclass Teacher Philip. The National Geographic has a great article about our use of water. You can’t go out in just that light jacket. It isn’t waterproof at all. You’ll get soaked! They were in the supermarket when her waters suddenly broke and they had to rush her to the hospital in a taxi. And just two hours later she was the proud mother of twins! She doesn’t let her kids use water wings. She thinks it’s better for them to learn to swim without help. She says if you use water wings, you’ll take longer to learn to swim. Since the storm, we haven’t had any running water. We’ve had to buy bottled water for cooking. We had a lovely holiday in Canada. One of the best days was when we went to see Niagara Falls. The waterfalls are incredibly loud but they look so impressive. When we were young we loved filling our water pistols on a hot summer’s day and soaking each other with them. Do you know you have to swim almost all the time during a water pologame and you can’t touch the sides or bottom of the pool? After the plane crashed into the ocean, they managed to stay alive by treading water and waiting for the rescue workers to find them. I know she’s your best friend right now but just remember that blood is thicker than water. Don’t expect her to stand by you when you have real problems. You’ll come running back to your mother then, won’t you? He seems to be treading water in that job. He’s been in the same position since he joined the company three years ago. As soon as the teacher caught her cheating in the test, she turned on the waterworks. But it did no good. She still failed the exam. We almost split up when we were first going out because he said his career was more important than settling down with me but that’s water under the bridge now. We’ve been happily married for almost 25 years now!